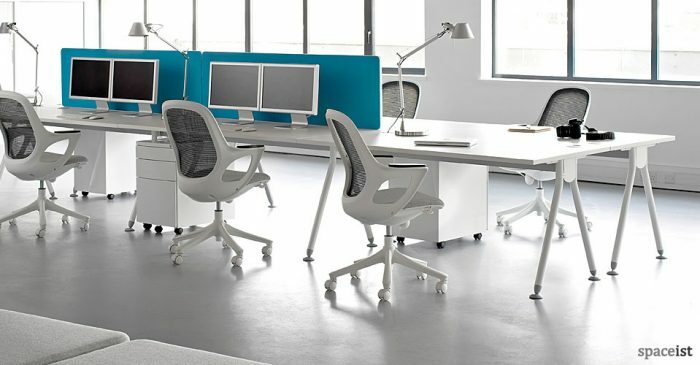 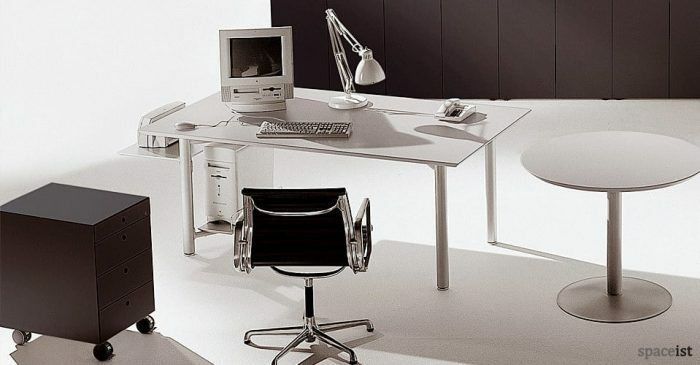 Categories: Office desks, Office ranges, Forty5 desk range, Executive Desks. 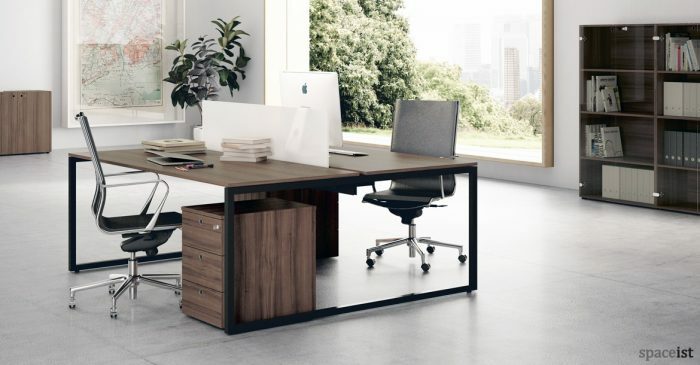 New executive desk with a 45° edge. 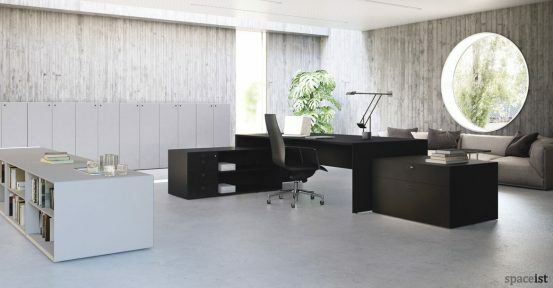 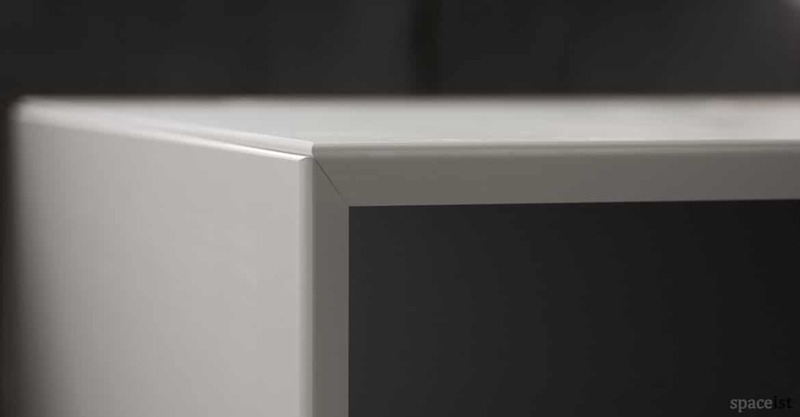 The range was created to offer an excellent work dimension and as always based on simplicity and practicality. 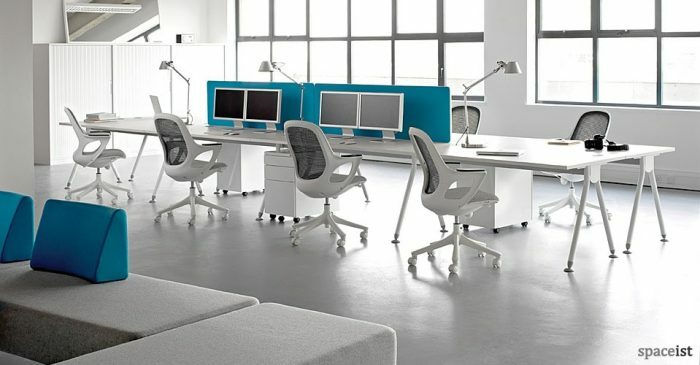 Comes with full cable management. 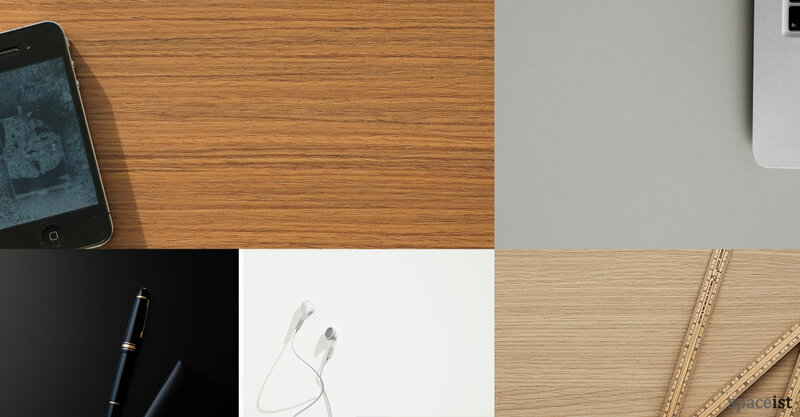 Finishes come in oak, white, black or grey laminate. 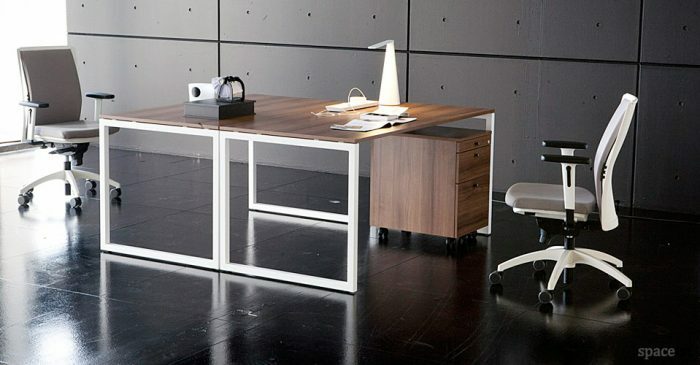 Shown with desk return in teak, black filing drawer and Cinnamon task chair.